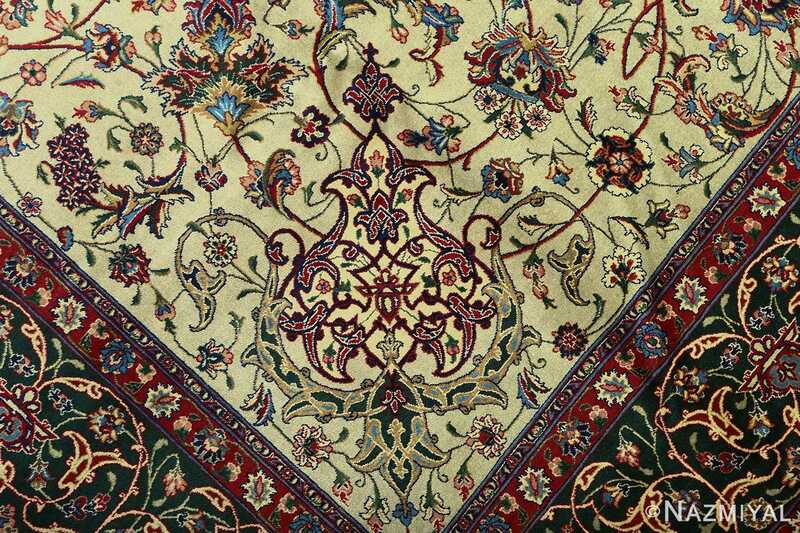 Beautiful Green Background Vintage Tabriz Persian Rug 51109, Knots Per Square inch: 400, Country of Origin / Rug Type: Vintage Persian Rug, Circa Date: Late 20th Century - True to the style of many breathtaking Persian rugs, this vintage Tabriz rug masterpiece showcases an incredible degree of detail within its wondrous surface. 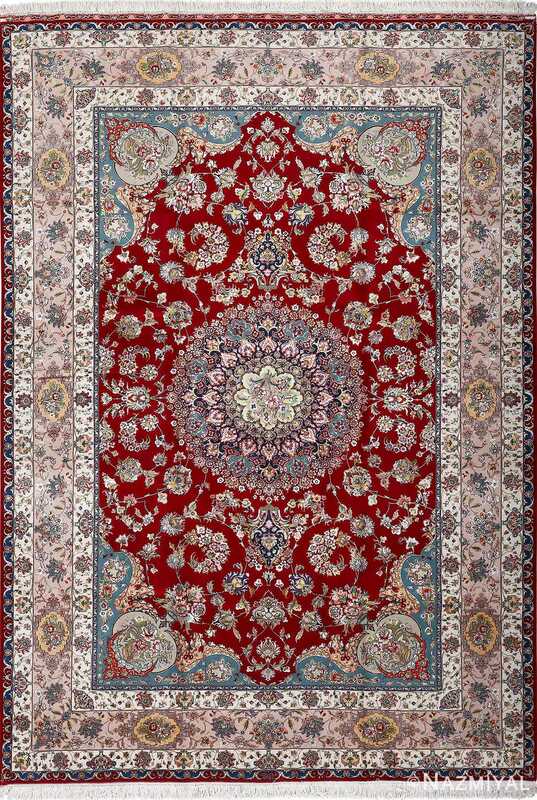 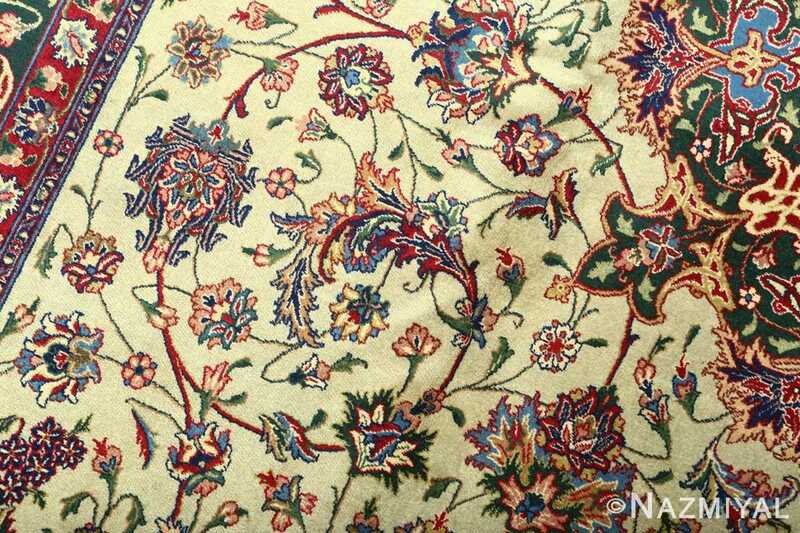 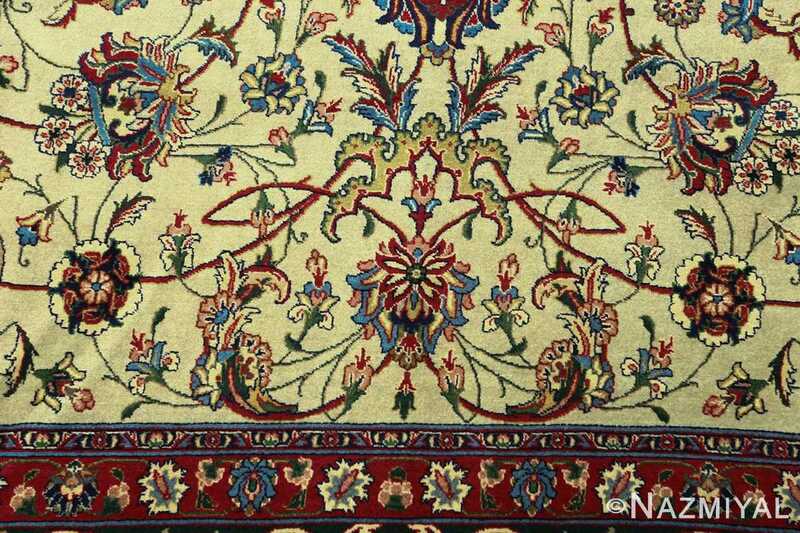 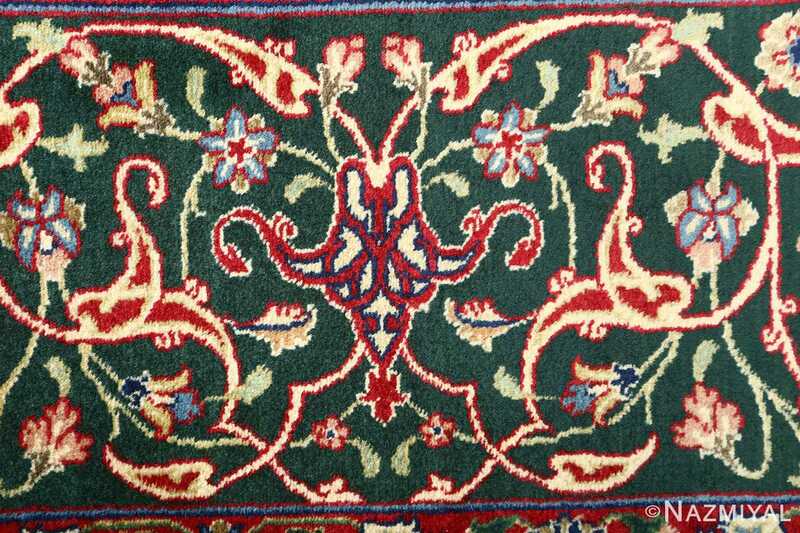 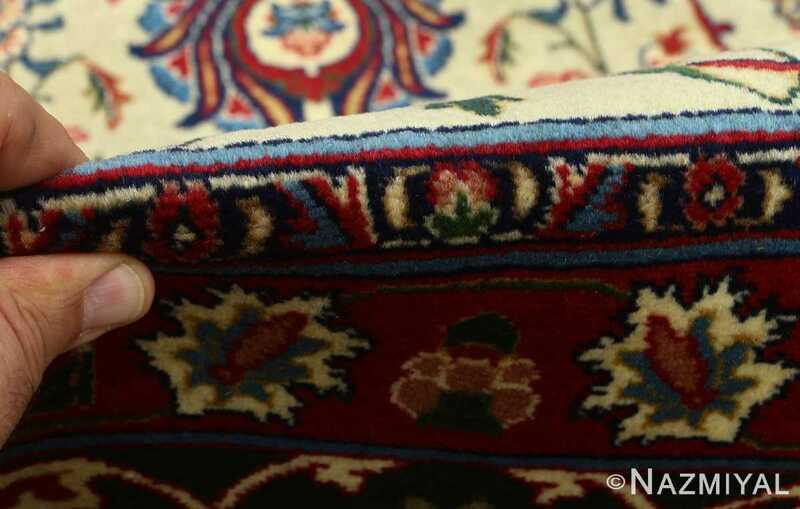 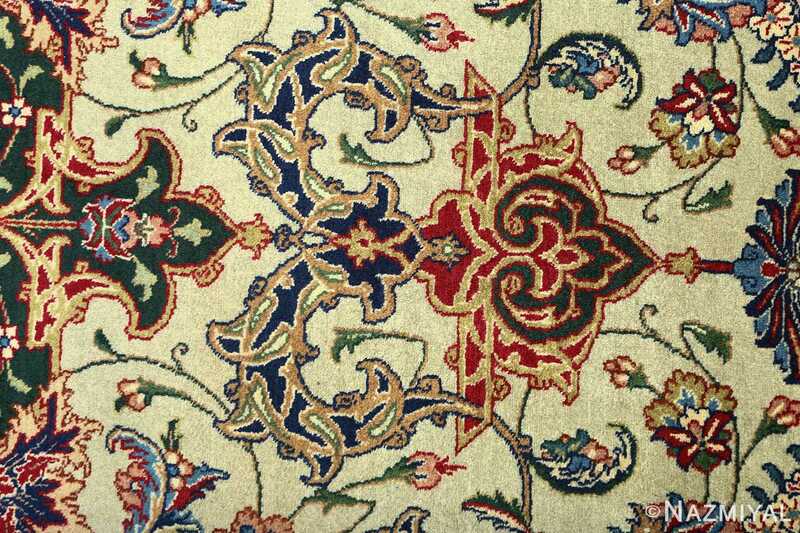 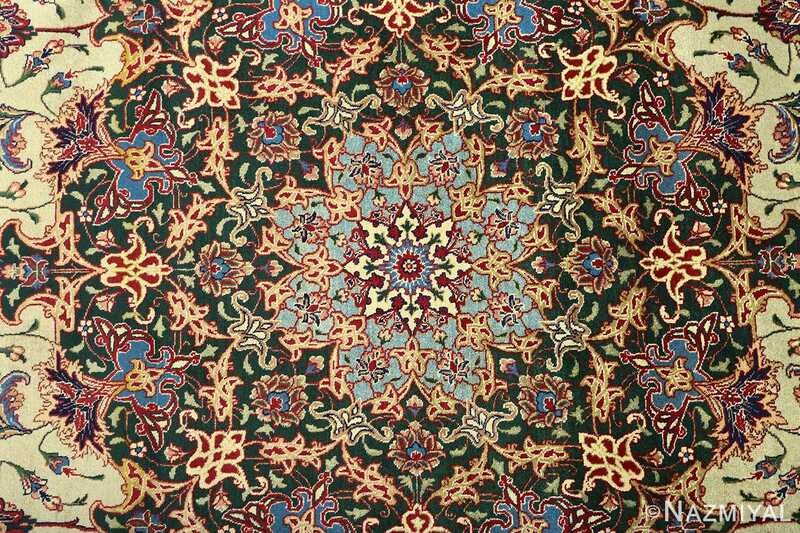 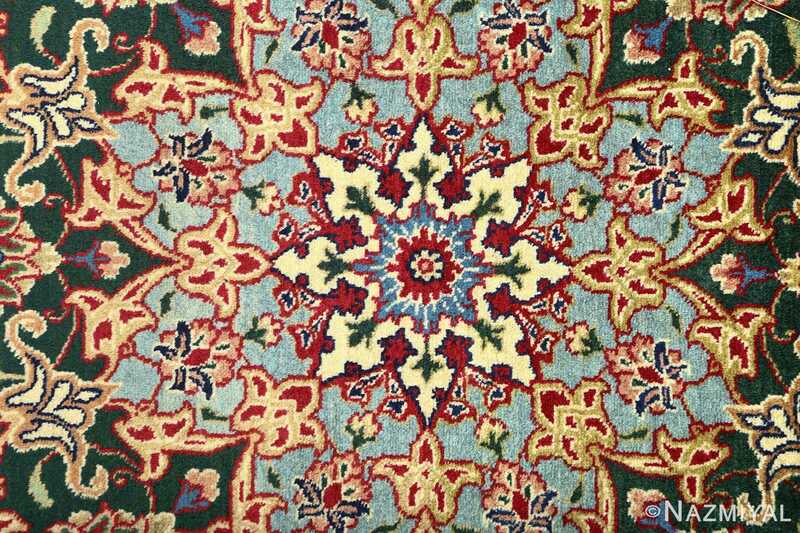 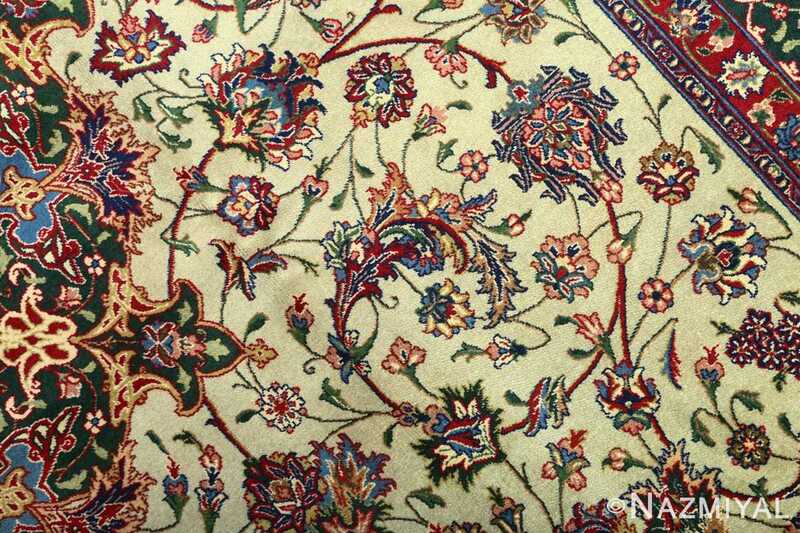 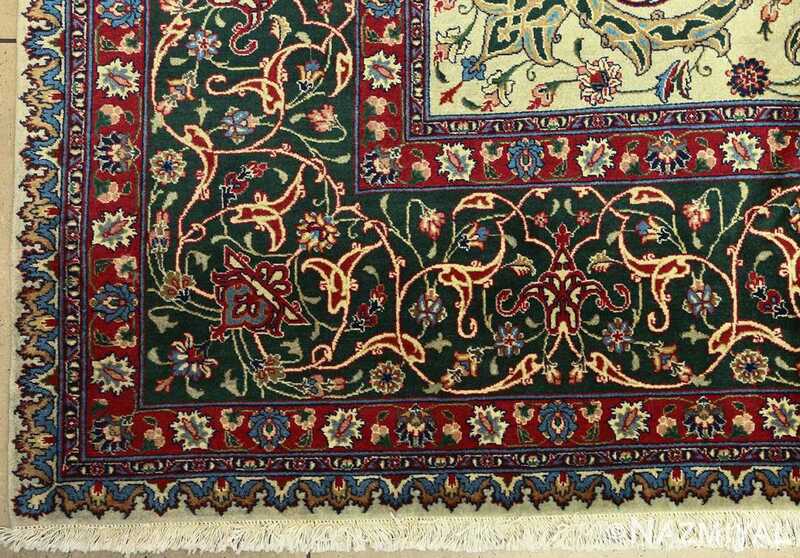 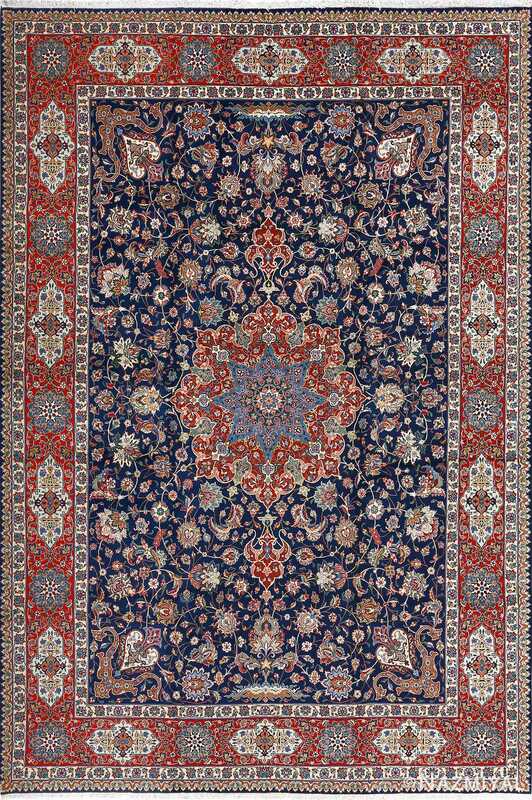 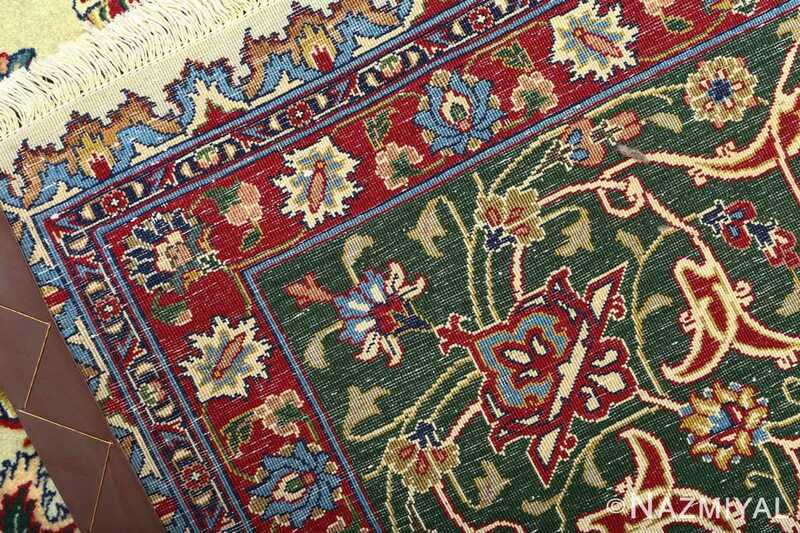 The artist skillfully creates delightful contrast between the various points of the vintage Persian rug, particularly noticeable around the elements at the rug's border, where the thickest border is surrounded on both sides by thinner outlines, each of which contain vibrant colors presented in opposing ways. 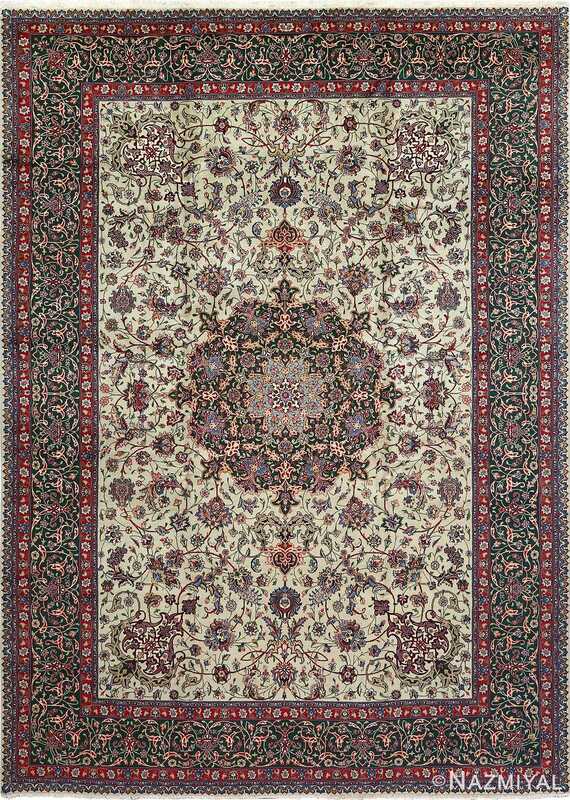 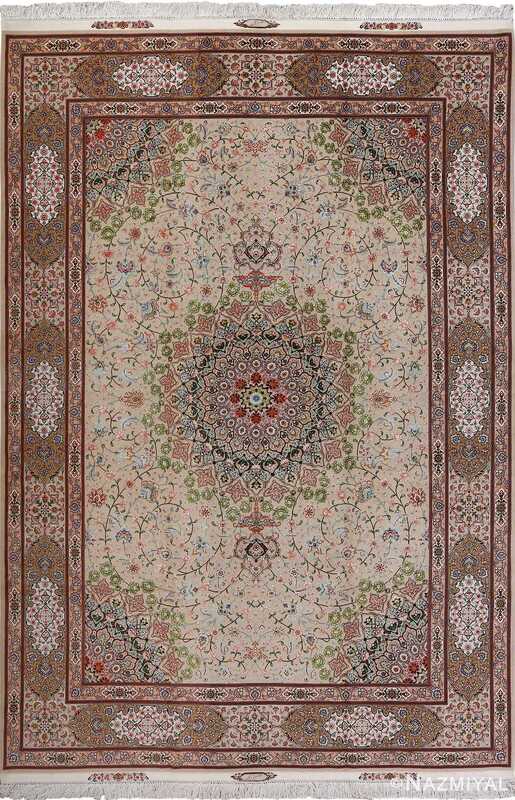 The enter of the rug depicts a magnificent field of soothing beige, which is designed to stand out against the darker elements around the borders and at the very core of the Oriental rug, marked by a beautiful mandala.